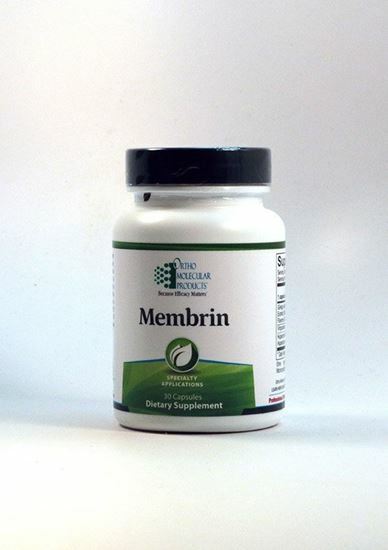 Membrin is designed to help maintain cognitive function and health. Maintaining cognitive function is an increasingly important challenge with the aging United States population. Aging is often associated with functional changes in the brain that can affect event recall ability, thought organization, and ability for self-expression. While some memory loss is common in the aging population, factors such as free-radical damage, nutrient deficiencies, lifestyle choices and emotional stress are known to affect cognition with age. The brain is part of the nervous system, which is made up of neurons responsible for processing and transmitting information using neurotransmitters and electrical ion channels. Maintaining the function of various aspects of neuron communication is integral to maintaining optimal cognitive function. Membrin provides vinpocetine and ginkgo biloba to support cerebral blood circulation, decrease excitotoxicity and scavenge damaging free radicals. 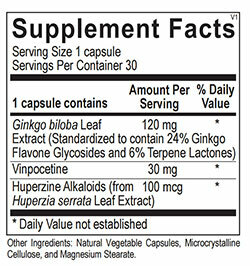 In addition, vinpocetine has specifically been shown to inhibit phosphodiesterase, and therefore helps increase cerebrvascular blood flow and improve memory. Together with huperzine A, a potent acetylcholine sparing nutrient, Membrin provides optimal dosages of three of the most well studied ingredients for targeted, multidimensional cognitive support.